Fundsupermart.com -Teaching Your Teens to Invest: Three Basics to Get Them Hooked! Teaching Your Teens to Invest: Three Basics to Get Them Hooked! As parents, we all worry about teaching our kids the 'value of money'. When we say this, we are covering everything from the importance of saving, to spending thoughtfully, and even learning to live on a tight budget. While children do handle money through piggy banks and allowances from an early age, the focus is on spending. How then can we help them form positive 'money habits', and what is a good time to start? Read about the three conversations you can have with your teens that will get them to focus on saving and investing instead of spending! Saving, and investing, are largely habitual behaviours. Which means they need to be formed when children are still impressionable. And wealth building is a more evolved attitude altogether. Unfortunately, most of us learn this difference only in our late twenties or early thirties, when we realize that living by the mantra of savings = earnings-expenditure is not going to take us very far. Of course, in india, most children don't work summer jobs or side jobs while studying like they do abroad. Which means that they can either save from their allowances or start doing odd jobs at home to earn a bit extra. Although this may not mean a big enough amount in regular investments to begin with, it can still be enough to help form the right habits. Some parents even offer to match by 50 or 100% what the children save themselves, so the incentive to save is that much higher. Let's look at three conversations you can have with your 'young adults' to equip them with constructive and positive money habits at the right time. Now, let's assume your child starts saving at age 15, with rs. 1000 every month. If you get them to invest in an equity mutual fund sip, by the time they are 25 they would have accumulated Rs. 2,35,855 at 12% returns. At this point, they would most likely have a job and would be able to start saving more - say Rs. 5000 a month. Amazing, right? Compounding is thus not only fun, but probably the most powerful way to teach your children about wealth accumulation. This example is also a great way to explain to them about different investment options like bank deposits or mutual funds, and why they offer such different returns. Help them understand that in investing, risk means the possibility of losing some or all of their money, and that riskier investments offer greater returns than safer bets. These fundamental concepts will play an important role in their decision making as they go on. Talk to them about different investment products like stocks, bonds, mutual funds, bank deposits and even providend fund accounts to give them a good initial understanding of when each option would be most appropriate. in most cases, your teen would probably be the most excited by stocks and the promise of exponential returns. Tell them about the concept of risk adjusted returns, which is essentially assessing whether the returns on a particular investment are worth the risk we're taking. While it is a technical calculation that most of us would never make ourselves, it is an important concept that teaches us to assess risk and return together - and not just the potential returns. Fact 1: Teenage investors, with over 50 years of compounding ahead of them, have the greatest advantage of time. Even if they cannot invest huge amounts of money. And even if they cannot make glamorous bets on high growth stocks. 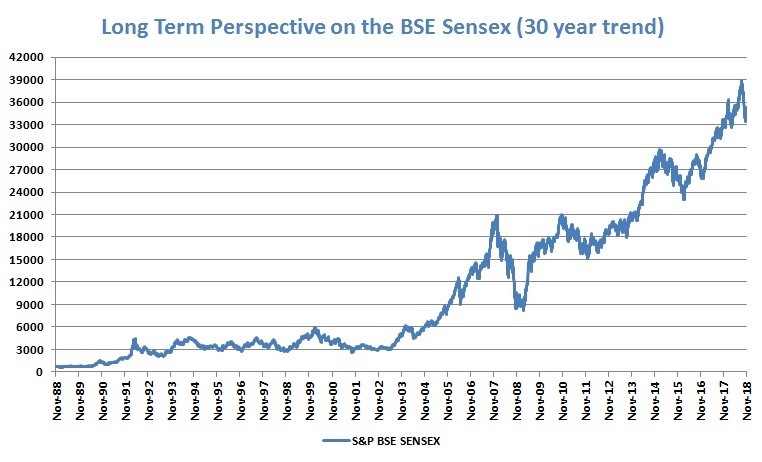 Fact 2: Almost all markets have moved upwards over the long term. The low points in 2008 and 2016 should help illustrate the fact that investors who stuck to the course despite making losses would go on to not only recover, but increase their wealth in multiples. On average, our children are studying more and starting off with higher paying jobs than we did. They also face family responsibilities later than we did. This means they have a real opportunity to start creating wealth as soon as they start earning. So even as they dream of annual backpacking trips across europe and new zealand with their friends, it's only deeply ingrained habits of saving and investing that will keep them from spending away their precious all!